I hope you have observed the new template of my blog. Well, I figured that I could use much functionality on a dynamic blog. Hope you like the new look of my blog, although I'm still working on it! Please guys, your feedback are very much appreciated, so do leave a comment below the blog post to let me know how you like the look or if there any modifications you want me to make. Thanks! Well it's a brand new day and on this day, I present you the debut author, whose new psychological thriller simply captivated our minds with fear and hatred with a dash of empathy! Yes, we have, Liz Nugent who is here to chat about her debut book, Unravelling Oliver, her life as an author, and life beyond books! Me: Hello and welcome to my blog, Liz. Congratulations on your debut book, Unravelling Oliver. Can you please share with us the story behind your book, Unravelling Oliver? 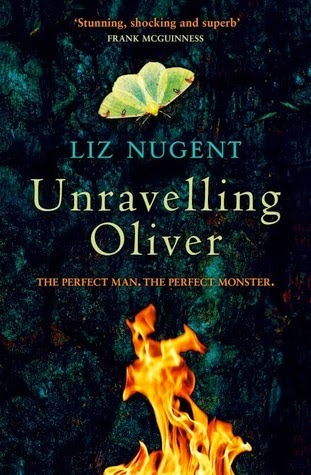 Liz: Unravelling Oliver is essentially about a deeply flawed insecure man who has all the trappings of success and wealth but he harbours very dark secrets. The novel explores his life through his eyes and through the eyes of those who think they know him. We realize pretty quickly that he has managed to fool almost everybody. The man unravels at the same time as his story does. Me: What inspired you to spin a story like Unravelling Oliver? Liz: I was always fascinated by dark tortured characters in literature like Heathcliff in Emily Bronte’s Wuthering Heights, Sebastian Faulks’ eponymous Engleby and John Banville’s Freddie Montgomery in The Book of Evidence. I wanted to go into the mind of a character like that but when I got there, I realized there has to be a reason why people behave the way they do and I wondered what would cause a man to beat his wife into a coma and then blame her! Me: How did you explore Oliver's character, and what was your extent of research for your primary character? Liz: As above, first I wrote Oliver from the outside and then I got to his inner character to see what made him tick, what motivated him. He says he is better than everyone else but he has always known that he is unworthy of love, particularly the love of parents. That has to have a long-term emotional effect. Psychologist friends have told me that he is a great example of a sociopath or a psychopath but I must admit that I have never studied the subject and did no research in the area. I just imagined what it must be like to be one. Me: Tell us one trait of your primary character, Oliver, that intrigues you the most. And do you feel Oliver is a monster? Liz: I don’t like to tell readers what I think about Oliver. I prefer to leave it up to them! I will say that I could never condone or forgive his actions, but I understand them. I think what intrigues me most is his ability to hide his real personality for almost his entire life from everybody, including his own wife. Me: What did you expect your readers to get away with after reading the book, Unravelling Oliver? Liz: I’d like them to question how much we really know each other. We like to think we know our friends and partners intimately but there is always something kept back. It’s not always necessarily a bad thing but we never know people as well as we think we do! But really I hope they enjoy a good read and that they find the story interesting. And funny in places! Everyone always talks about how grim it is, so I wonder if some of the comic writing just hasn’t worked! 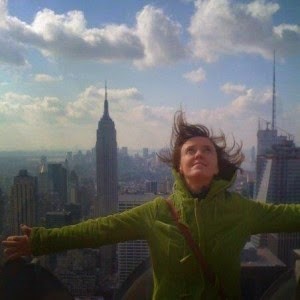 Liz: I never really set out to be a full-time writer. It kind of happened by accident, because the first chapter of Unravelling Oliver was a stand-alone short story that just developed into a novel, and then here in Ireland, it became very successful and won a prize so, yes, a dream has come true, but really I wanted to be an astronaut or a formula 1 driver or an Olympic gymnast. I think I’ll stick with writing for now. Me: Describe your normal writing day. And what do you do to get away from the stress of a long day's work? Liz: I go to my local library at 10am and stay there until I have at least 1000 words written. If that takes three hours or six hours, it doesn’t matter. I don’t allow myself to go home until I have at least that word count. Usually I’m home by about 3 and then I attend to the admin side of writing, like answering this questionnaire or doing research and then domestic chores like grocery shopping and laundry. I don’t really find writing stressful but maybe frustrating sometimes when an idea doesn’t work, so when that happens, I just read other people’s books to distract me! Me: How long did it take you to write the book, Unravelling Oliver? Was it a tiresome or an enjoyable experience? Liz: When I wrote Unravelling Oliver, I had a full-time job so I only wrote it on my holidays or on occasional weekends so in all, it probably took six or seven years with long gaps of doing nothing on it, but all the time I wasn’t writing, the story was percolating in my head and I would make little notes in my phone as to where the story could go. It was mostly an enjoyable experience. In the editing process, I had to let go of a particular narrative in the story that I was very attached to but my editor wisely made me see that it just didn’t work. It was hard to give that up. Liz: I’m currently working on the next novel. It is provisionally called Liars and it is about inherited guilt and obsession. It is similar in genre but much lighter in tone. Me: Thanks so much Liz for sparing time to have this interview on my blog. I can only wish you luck in all your future endeavors. Liz: Thank you. It is amazing to me that somebody all that distance away in India would find my book interesting! But I have read Rohinton Mistry and Vikram Seth and I realise that our cultures are really not so different!